Nairobi, Kenya is the home to Two Rivers Mall, the largest shopping mall in east and central Africa. Two Rivers is wedged between the Northern Bypass and Limuru Road and sits on a whopping 1.7 million square feet, thus providing over 700,000 square feet of leasable space. 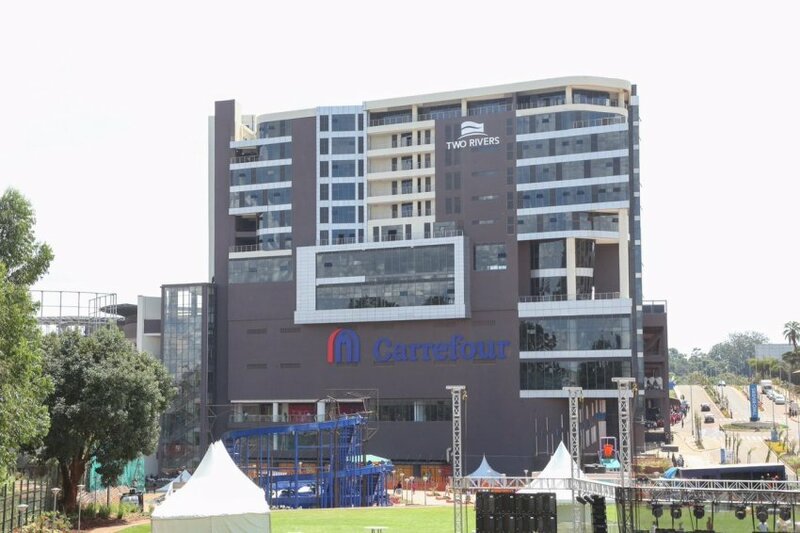 Two Rivers Mall is owned by Two Rivers Lifestyle Company Ltd which is a coalition of several firms including, Centum Group, the majority shareholder; Aviation Industry Corporation of China (Avic) and ICDC a state-owned firm. The mall consists of medium density residential homes, office blocks, a shopping center, as well as a vast range of restaurants one of which is the City Lodge’s three-star 170 key hotel. Some other renowned tenants include Carrefour, the French retailer, which operates more than 12,000 outlets globally, and is the mall’s anchor tenant; the Turkish luxury fashion line LC Waikiki, Woolworths, Hugo Boss and Nike. Right from the start of construction and overall development of the mall, the owners knew that they wanted the project to be compliant with international green standards. With this in mind, CESP Africa was subcontracted by Athena Properties Ltd –the property managers- to provide a wholesome and eco-friendly Wastewater Treatment solution. CESP proposed a Moving Bed Biofilm Reactor (MBBR) Aerobic Wastewater Treatment System. These terms may seem complex and daunting, however what the system basically does is treat the collected waste water using bacteria, whose purpose is to feed on this waste. These bacteria are provided with oxygen in order for survival as well as to operate at optimal levels, thus the system is referred to as an aerobic wastewater treatment system. The MBBR technology employs polyethylene biofilm carriers which provide a protected and increased surface area to support the growth of these bacteria. It is this high-density population of bacteria that achieves high-rate biodegradation within the system, while also offering process reliability and ease of operation. At the end of this whole treatment process Two Rivers mall was to obtain colorless, odorless and environmentally-friendly effluent. This was to be a one-of-a-kind system for CESP Africa as it would be one of the largest Wastewater Treatment Projects installed in Africa. CESP took up the challenge and with their long-time business partners JET Inc. embarked on the installation of what was to be a gargantuan system. Jet Inc. is an American firm and is the respected world leader in waste–water treatment technology. Since 1955, the firm has provided products that have been developed with the industry’s longest service life and lowest repair rates and CESP Africa is the authorized distributor of the Jet Inc. products in Sub-Saharan Africa. CESP conducted multiple site visits, attended a good number of meetings with the different shareholders and fellow sub-contractors as well as designed and redesigned the layout and structure of the system together with the dedicated engineers at JET Inc. with painstaking attention to detail so as to ensure that not a single item was left out. Installation of the 1,135 m3 / 300,000 GPD (Gallons per Day) Wastewater Treatment System then began with the CESP workmen and engineers working tirelessly to ensure the timely completion of the project. Besides, the wastewater treatment system, CESP also installed a Supervisory Control and Data Acquisition (SCADA) system. This SCADA system allows for remote monitoring, data logging as well as diagnosis of the installed wastewater treatment system hence providing CESP a timely, safer and overall more efficient project maintenance procedure. The mall has since been opened with a ribbon cutting ceremony that was held on the 14th of February 2017 and was graced by the Kenyan President Hon. Uhuru Kenyatta. It is approximated that 120,105 people visited the mall that day and CESP is proud to say that their Wastewater Treatment System was able to handle all the waste generated on that peak day and effectively continues to do so a couple of months down the line. The Two Rivers Management puts this effluent (treated wastewater) to good use such as irrigating their expansive grounds as well as a reserve in the case of fire-fighting and any excess effluent is discharged into River Gichiie. All of this released effluent is in line with the requirements by the local environment regulator (NEMA) for discharge and reuse. Through this partnership with CESP Africa, Two Rivers development is able to reuse 80% of all the water now and in the future creating a cyclic environment for the entire ecosystem. Additionally, it has created a sustainable shopping, living & working experience for all at the Two Rivers.